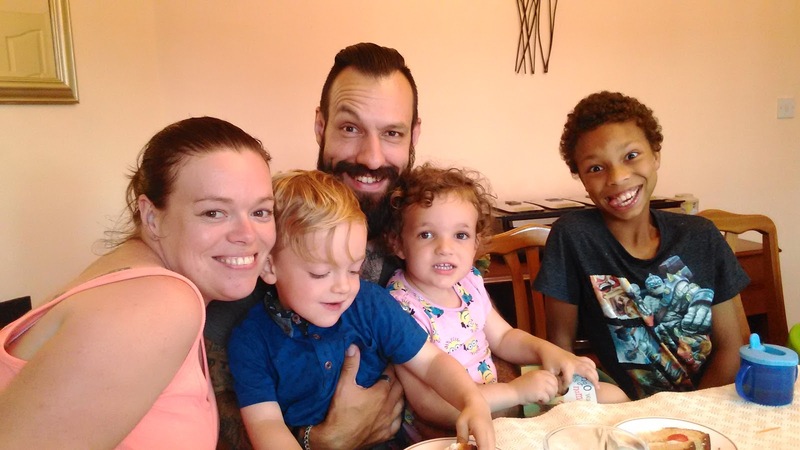 This week we have had birthday celebrations, fresh strawberries, fun times with the twins, lots of cooking and cocktails! Sunday was the hubby's birthday and we celebrated it by having a family day together. We decided early in the morning that we were going to take the children to the cinema to see the Minions Movie. It was the first time that we had taken the twins to the cinema and they loved it! After the movie we went to Frankie and Benny's for some lunch. In the evening we enjoyed a barbecue at my mum and dads. It really was a lovely day. 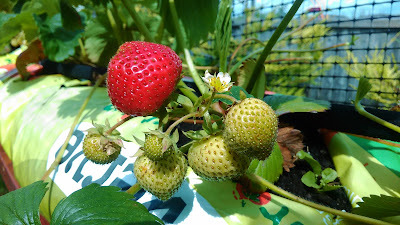 On Tuesday, after I had taken the twins to nursery, I harvested some fresh strawberries from the garden. It seems that they have all started to ripen at once after the sunshine. 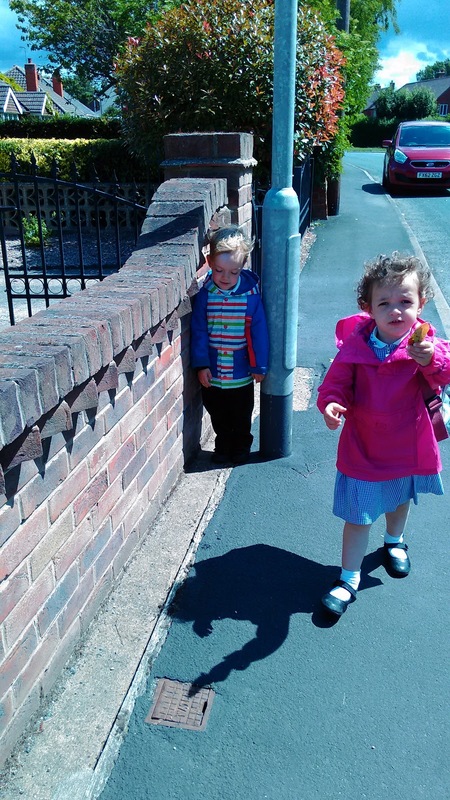 On the walk home from nursery the twins found a new game to play, squeezing between the wall and the lamp post. Yes, they found this highly hilarious and did it over and over again! Tuesday was a hard day for me. Since last week I have been on the hard roller coaster that is depression. It is great when I am on a level, I even forget that it is there, but when it starts going up and down again it really throws me! Wednesday was another bad day. 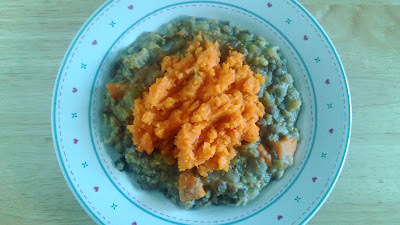 The only pictures that I took were of my lentil cottage pie which was so delicious! I will be sharing it next week! On Wednesday evening I went to my fitness class and left feeling like a completely different person. I am realising that exercise plays a huge part in my good moods and happy feelings. I also signed up for Slimming World again. I am hoping that it will give me the motivation that I need to get back to the happy, healthy me. 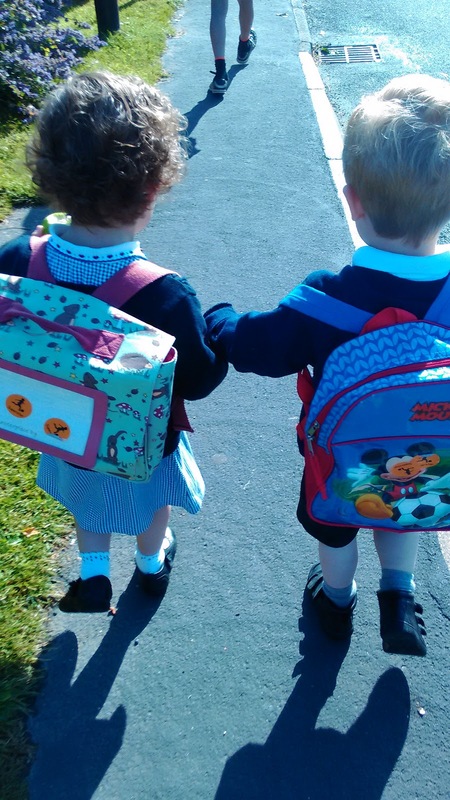 The twins looked so cute on the walk to school on Thursday. They wanted to hold hands all the way to school. I love to see how close they are. On Thursday morning I treated myself to a back massage at a local mini spa. Having a bit of time out was lovely, I hope to make it a regular occurrence! 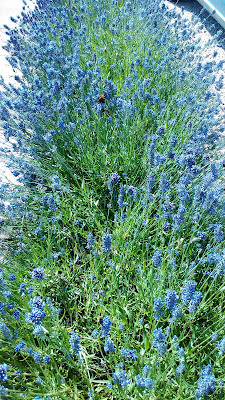 Along our front path we have a lovely row of large lavenders. These started off as tiny little plants 2 years ago, now they not only look and smell divine but are also amazing for the wildlife. 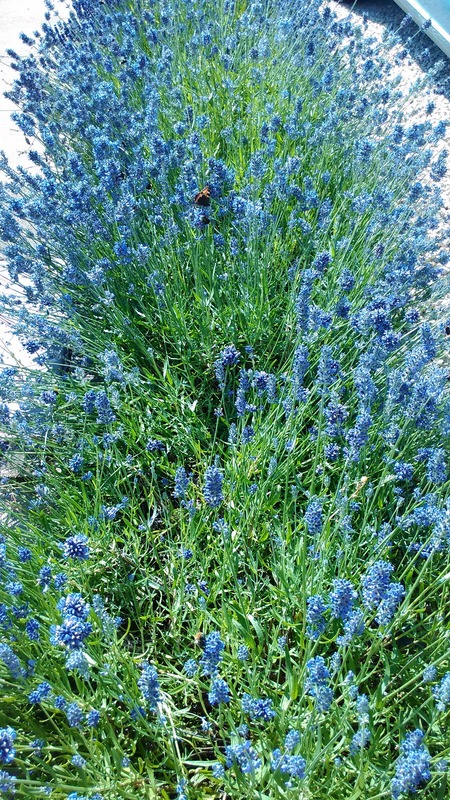 This picture really does not do it justice, but the lavender has been covered in bees and butterflies. It is great to know that we are doing our bit for the bee population! 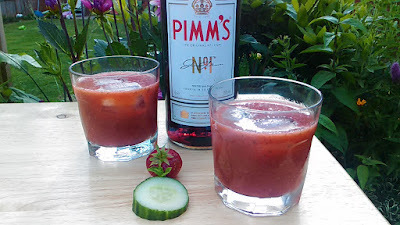 On Saturday I had the hard job of creating a Pimm's cocktail for a blog post! This is the final choice (after making 3 different ones!) my Pimm's Smoothie! My post will be live next week. Another week of no strawberry picking for us as it is pouring down on our free day again! Ahhh your lentil cottage pie looks scrummy, as does your Pimms smoothie. I will definitely be back to check out those recipes.